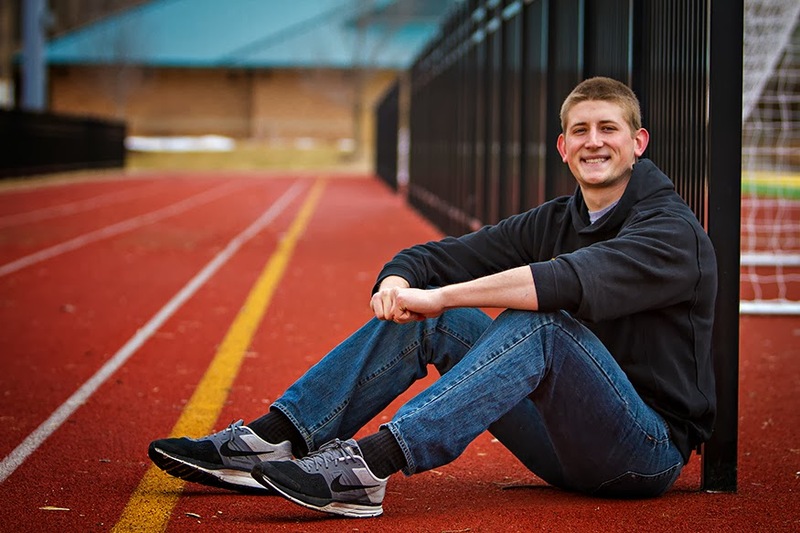 Just had a story published on CAFNR's website about Tanner Buschmann. Check out the story....link. Below are the photos I shot. 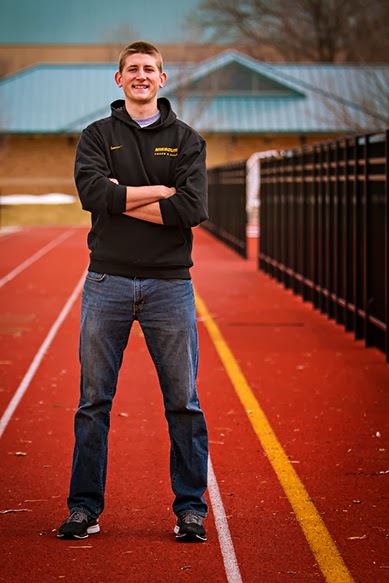 Tanner is a biochemistry sophomore and is on the track and field team. I shot this with my Canon 7D and a 70-200mm f/2.8 lens. Using the longer lens allows for a shallow depth of field. It was a cloudy day for nice diffused light, but I wanted to pump in a little more color onto Tanner. So I had my co-worker Aaron hold a gold reflector off camera right. That added the nice warm hues on his face.